Shahar has been involved in the Israeli high-tech, internet and digital industry since 1999 and has lead a global business development for startups and high-tech companies. 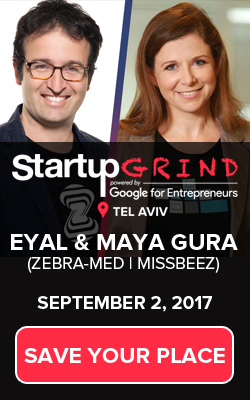 He represents Israel in the biggest and most growing entrepreneurs community – Startup Grind, he manages the startup communication channel with more than 250 cities globally. Ram is an entrepreneur, tech savvy, highly experienced consultant, speaker and mentor, who loves new ideas, innovation and out-of-the-box solutions. He believes in transparency, partnership, mutual honor and hard work. With vast experience in marketing (SEO, SMO, online and offline), pre-sale, account management QA & Testing and deeply familiarity with development processes (traditional/agile), Dev/Ops, methodologies, variable tools solutions and services. Many years of experience around offshore professional services models and flexible business models (SOW, SLA, Fixed, T&M). Shay is an experienced R&D executive, entrepreneur and investor. His background is in new product development, manufacturing and marketing of mass production products and electro-mechanical systems. Shay has assisted many early stage startups with business development and serves as a mentor and teaching assistant for entrepreneurship courses at the Technion where he earned his MBA. He also holds a BSME from CalPoly. Currently, Shay is managing a medical startup.